It was 5 minutes until 5:00 pm on a Friday. I was at my desk holding court about where the Sales team was going for happy hour when suddenly the “personnel” lady appeared with a figurative summons for me to appear in personnel court along with a fellow Account Executive. “ Why,” you ask? In any organization, who you hire plays a key role. This rings most true in the case of startup businesses, especially in the early stages. Startups face the additional challenge of the initial hires becoming the DNA and building blocks for the culture and success of those businesses. Why is it that some people stay devoted to one job for many years, while others seem to flit from one position to another? Why do some careerists plant themselves into a role for the long haul while others frequently uproot for greener pastures? The subject of candidate ghosting has been in the news a lot recently. Job seekers aren&apos;t showing up to interviews or even calling to cancel. They&apos;re just vanishing. Some new hires are even skipping their first days at work — with no notice at all. The only constant for traditional retailers today is constant change. One truth that stands up to this fire hose of transformation: customer experience can differentiate real-world retailers from the virtual, keeping them relevant and giving them their edge. 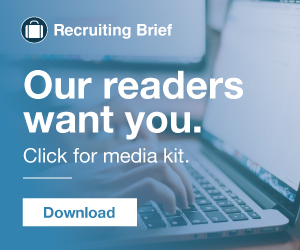 A few weeks ago, we published a blog that looked into the different things that candidates now expect from job ads before they’ll even think about hitting that ‘apply’ button. In 2018, Manpower Group published the results of what they defined as in-demand occupations over the last 10 years. The summary was recently republished in the Spring 2019 edition of HR Magazine as an infographic. Here are the results shared: Skilled Trades. Sales Representatives. Engineers. Drivers. In a challenging labor market that saw the U.S. unemployment rate hover around 3.9% throughout 2018, employers are increasingly looking for ways they can beat the trend and meet their hiring goals. This post is part of our Hireology employee spotlight series. Continue reading to learn more about a day in the life as a Hireologist! Name: Denise Powell . Team: Engineering. Role: Manager, Software Engineer in Test. Without the right tools and processes in place, hiring can be overwhelming and time consuming. 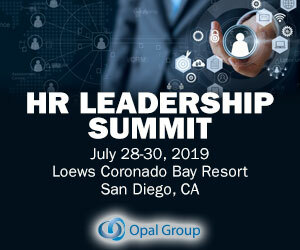 In fact, HR decision makers spend an average of 12 hours a week on administrative tasks, such as answering emails, scheduling interviews and managing job boards. Anyone who has even so much as glanced at the Hire Value Inc. blog over the past couple of years is well aware of our insistence on businesses having strong company cultures. Need some inspiration? These Talent Acquisition resources are chock-full of knowledge and personality! In the last five years, the recruitment industry found itself undergoing an exciting renaissance. Reading Time: 3 minutes. In 2018, Expedia, Inc. rebranded to Expedia Group, Inc. to more accurately represent the collection of brands that make up the organization. It’s often bittersweet to see a colleague leave your organization for another opportunity. On one hand, you may be happy he or she found a new position, but on the other hand, you’ll miss working with him or her. In Human Resources (HR), it’s often more bitter than sweet. For years, there’s been this debate raging inside HR. Well, to be fair, there are more than a few going on, but in this instance, I’m talking about HR and marketing. Your New Jersey commute just got a little more bearable. With a law recently signed by Governor Phil Murphy, the Garden State becomes the first to require employers to offer pre-tax transportation benefits. As the snow is melting, you might be turning your mind toward warm-weather staples like baseball, barbecues and hiring season. Yes, hiring season. As a human resources professional, you have probably noticed that it is easier to fill open positions in May, June and July.